Both hydraulic and pneumatic balers have their benefits, and are able to offer something different, but it depends on what the customer aims to achieve that will determine which baler is right for them. Three key factors will determine whether a business needs a hydraulic or pneumatic baler. Does the business have its own airline? What kind of volumes is the business producing? What material will generally be baled? 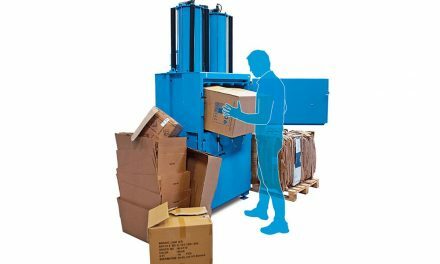 A business with its own airline and low to medium volumes of cardboard and/or plastic will in most scenarios find a pneumatic baler is better. This would be the most economical solution as everything is already set up for a pneumatic baler to be installed and there is no need to spend extra on a compressor. Unless the waste volumes are high there would be little requirement for a hydraulic baler if a business has its own airline. If a business has no airline and only requires a small baler then there is very little difference in having a hydraulic baler or a pneumatic baler with a compressor. Both balers will be of similar size and will both compact the material perfectly well. There is also unlikely to be much difference in price so it may well come down to whether any deals are offered on a specific baler type or not. 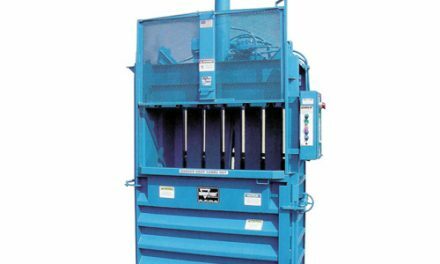 Having high volumes of waste will generally mean a business needs a hydraulic baler. 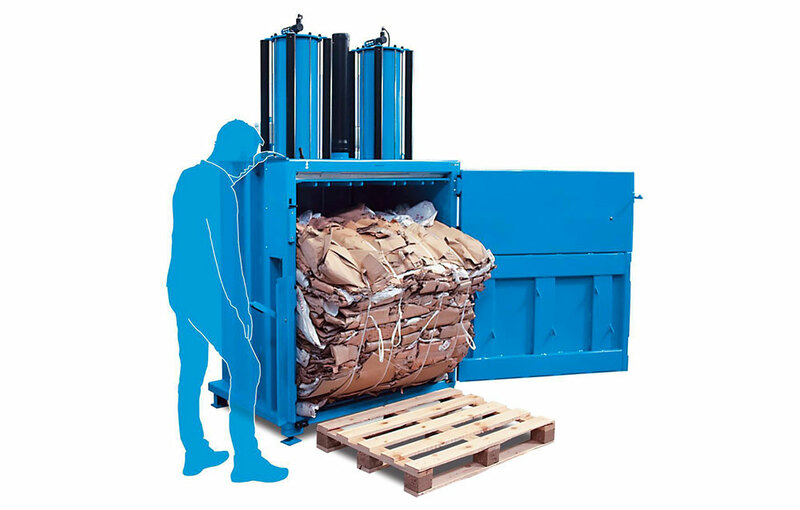 Those producing over one tonne of waste cardboard or plastic per week will need to achieve high quality, dense bales and a hydraulic baler is best for accomplishing this. This is probably the least important factor as both hydraulic and pneumatic balers are perfectly capable of baling the two main materials used for baling; cardboard and soft plastic. As hydraulic balers have higher pressure they are generally seen as better for creating denser cardboard bales than pneumatic balers. Recyclers prefer dense bales and businesses are more likely to achieve rebates with high quality, dense bales. Many smaller businesses with cardboard however just require a competent baler that can save them money, space and time and in this case a pneumatic baler would be more than capable. Pneumatic balers are generally seen as better for compacting low volumes of soft plastic. The constant pressure on the material prevents it rising up in the baler chamber, allowing more room for plastic and solid bales can be created. Whilst all balers are simple to use, pneumatic machines are seen as the best for ease of use. With bale out kickers fitted on the majority of pneumatic models, they are comfortable to use for most staff members. Balers will always make some noise when they are compacting waste and therefore some businesses like to go for the quietest model possible. 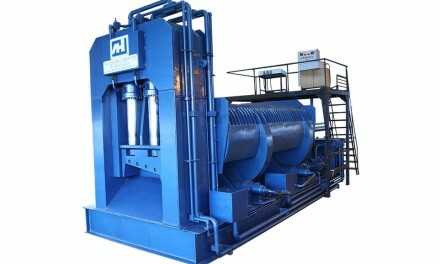 Hydraulic balers are generally quieter but pneumatic models can be made virtually silent with modification. Pneumatic compressors are generally fairly noisy and the air that is released from the top of the baler can also make a noise. Hydraulic balers will merely make a purring sound when in action. Whether or not a business has its own airline and the volumes of waste involved are the two main factors to consider when buying or renting a baler. After these two aspects are determined it should be fairly easy to decide which type of baler will be best suited. PreviousHow Can Waste Management Solutions Help the Environment? 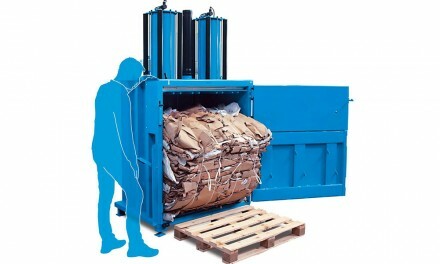 NextWhich Types of Businesses Can Benefit From a Cardboard Baler?